Like ordinary paints, forms continuous film of STAINLESS STEEL 316-L easily by way of brushing, roller or spraying, and shows perfect protection effects. • Stacks each stainless pigment ground at thickness 0.3μ in the form of leaves fold on fold. • The pigments are changed into continuous laminated film like fish scale, and block contact with water or air. 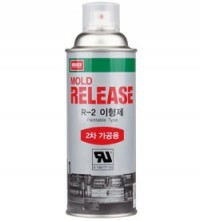 • Can form stainless film on the surfaces of all materials like metal, wood, stone, porcelain, brick, concrete, mortar, glass, plastics, rubber, leather, linen, paper etc. • Forms strong stainless film and protects all materials against corrosion, erosion, rust, damage, abrasion, blazing fire, contamination etc. for a long time. 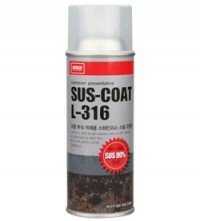 • Coats surfaces with extremely low amount and reduce maintenance cost remarkably. • Reflects heat or light on the basis of excellent features of stainless steel. 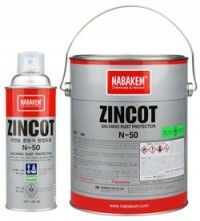 • It is excellently thermo-keeping due to extremely low heat conductivity and used for tank, boiler, refrigeration and freezing rooms, duct, heating and cooling pipes and roof. • It brings excellent energy effects. • It can be used for electric and electronic parts. • Is completed in the beautiful semi-polish state with color unique to stainless steel. • It does not damage appearance, so that it can be used for decoration. • Each stainless pigment produced under strict quality control through many processes to have width: thickness as 30μ: 0.3μ, i.e 100:1 is made in the form of leaves. • And its front and back sides are like ground mirror surface. • It shows excellent protection against damage or abrasion by water, moisture and heat. Exhaust and steam pipes, mufflers, radiators, production equipment, engines, furnaces, plumbing fixtures, chemical processing equipment.